Make sure that you will listen to the piece all over and over again. This will help you become familiar with the song. Once you are familiar with the song, you will know immediately if you have made a mistake with the note that you have pressed. You also have to learn more about the dynamics of the piece so that you can play it effectively. If the song has lyrics, you may also want to memorize the lyrics because this will help you get a good grasp of the song. Split the song into various pieces and you can practice one portion of the song all over and over again until you are sure that you have already mastered the part. Do not move to the next portion of the song until you are sure that you can already play the first part with your eyes closed. Practice with separate hands first instead of playing with both hands immediately. You may start with your right hand first and once you are already sure about the notes that you are going to play, start with your left hand. Once you are already aware of the things that you should do, you can then start playing both hands. If you make a mistake, you can always try to start again until such time when you already know what to do. Try to make sure that you will not play the piece that you are trying to memorize in a fast manner. You have to make sure that you will slow down a bit when you are playing. You will not get any problem because of it. 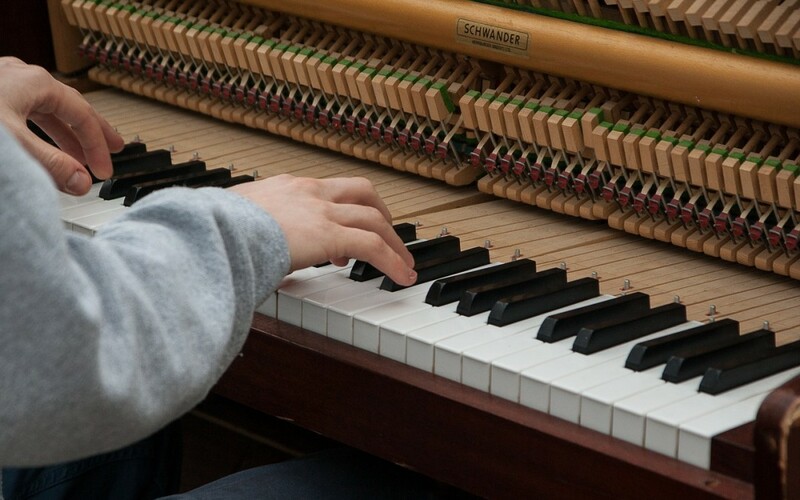 Whenever you are playing any piece on the piano, what you have to remember is that you should not feel frustrated whenever you are having some problems. You ought to make sure that you will repeat the piece that you are playing. After some time, you will realize that you can already play it with ease and you do not need to worry about playing it anymore. If you’d like to start your piano lessons to learn the piano, send us your request for a piano teacher here!